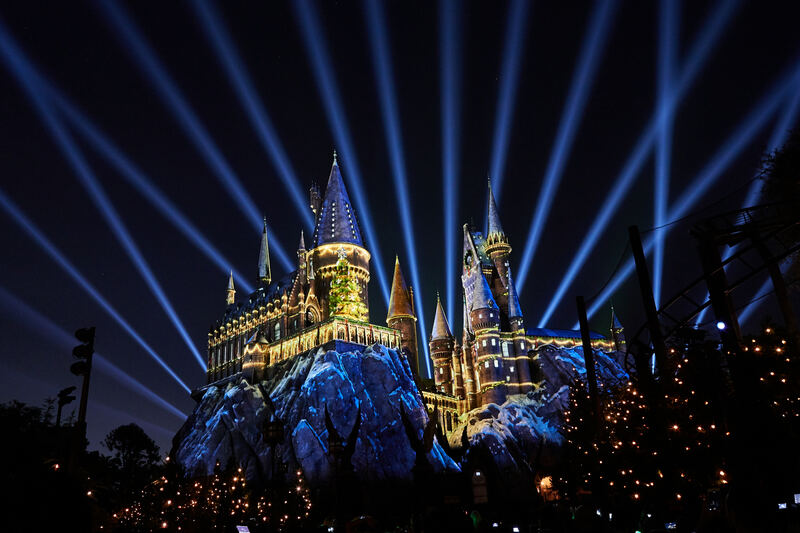 Universal Orlando Resort has always offered a wide array of holiday festivities, both at Universal Studios and Islands of Adventure parks – all included in regular park admission! Over at Islands of Adventure is Grinchmas, where you can see and hear the story of the Grinch Who Stole Christmas live on stage in this fun musical spectacular. 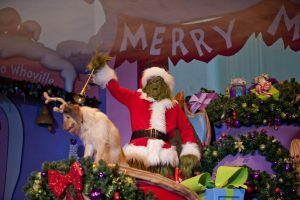 You can also meet the Grinch himself for a photo and an autograph, and there’s even a Grinch and Friends Character Breakfast if you can’t get enough of the mean green guy. 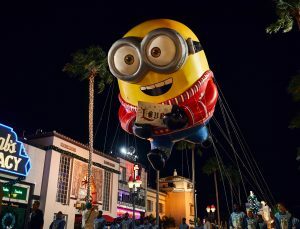 Over at Universal Studios you’ll be able to enjoy Universal’s Holiday Parade featuring Macy’s, a holiday favorite that also features characters from Madagascar and Shrek. This year, the Minions from Despicable me join in the fun for this festive parade through the Studios streets. And don’t forget Manheim Steamroller in concert, sharing the sounds of the season on various dates throughout the season. All included in your regular ticket! 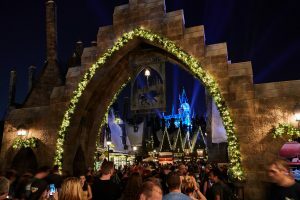 In addition to all the usual holiday line up, this year for the first time ever, the Wizarding World of Harry Potter will partake in the holiday fun in both Hogsmeade and Diagon Alley. So wands at the ready and enjoy all the magic these two lands have to offer. 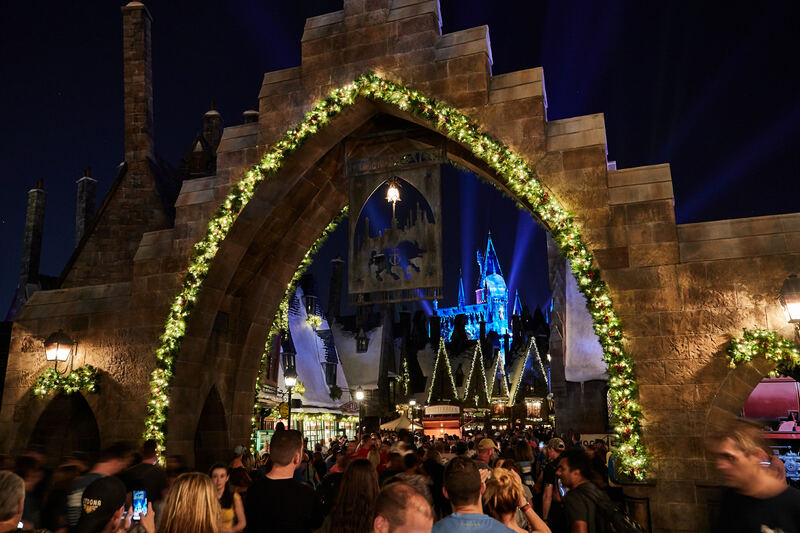 At Universal Studios, you’ll find (if you can find the secret entrance) Diagon Alley and London transformed with festive décor and brilliant lighting. 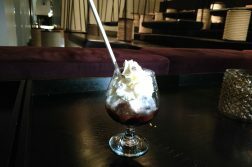 There are also special holiday treats and drinks, and the holiday feelings are all around. King’s Cross Station features buskers singing holiday favorites and the popular Celestina Warbeck and the Banshees singers have a special show prepared just for the occasion that you won’t want to miss. Whether you walk, take the Hogwart’s Express, or travel by Floo Powder (which I can’t recommend for safety reasons), you’ll want to continue your holiday journey over at Island’s of Adventure and visit Hogsmeade, which was pretty much made for this time of year, with the snow covered rooftops, no matter how much you’re swealtering in your shorts and a t-shirt with the Florida sun. But put all that from your mind because you are IN Hogsmeade, where all the shops are decorated for the season with garland, and there are special seasonal drinks and treats to share. The Frog Choir has prepared a special holiday show too! The show-stopper here comes at night, however. 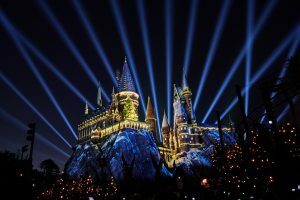 When the sun sets, it’s time for The Magic of Christmas at Hogwarts, an all-new stunning projection show. Hogwarts castle is wrapped in magical holiday scenes and you’ll be ready to welcome Father Christmas by the time the show is finished. This is an experience you won’t want to miss if you’re a Harry Potter, or just Christmas fan! Have you experienced the holidays at Universal Orlando Resort this year? If so, there’s a very important question I must ask – how do you take your Butterbeer, frozen, cold, or hot?! 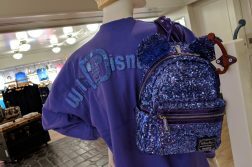 Next Article Walt Disney World Resort Holiday Extras & Gingerbread!